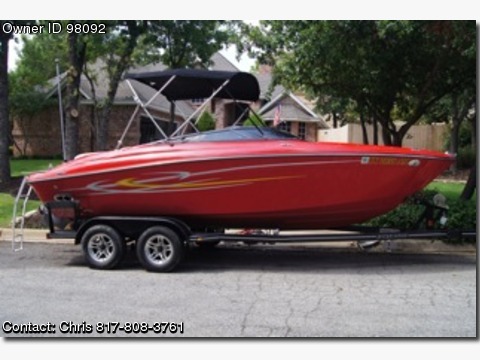 Please contact boat owner Chris at 817-808-3761. Only 115 hours on this boat. Serviced every season by licensed Four Winn dealers. Comes with all life vests and toys. LOA with swim platform: 20'10" Beam: 8'6" fuel capacity: 40 gal Deadrise: 19 Draft down: 33" Approx. boat & engine weight: 3180 lbs max capacity: 1600 lbs Clarion Sound with satellite radio.